The Canadian Museum for Human Rights is carefully curated. 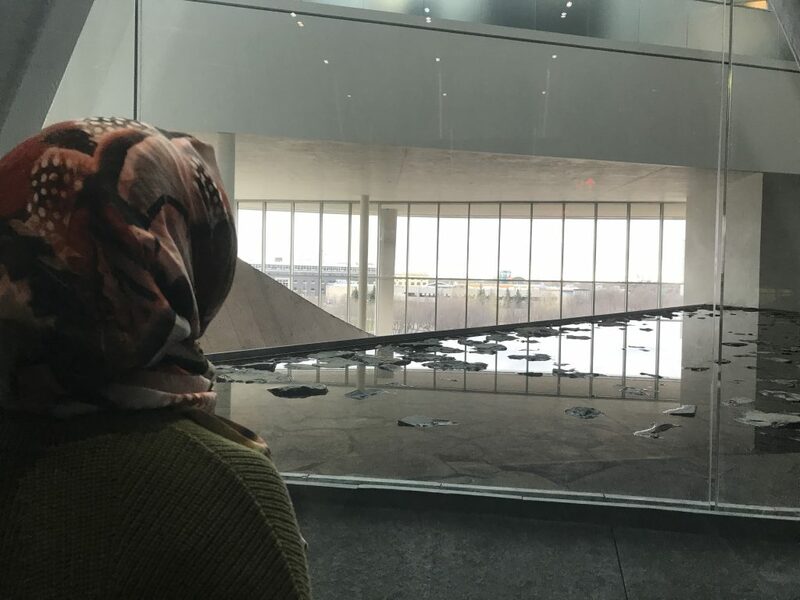 When the museum first opened its doors in in September 2014, it was the first national Canadian museum outside of Ottawa, and its creators wanted the new building’s design to represent the country’s diverse landscape. In 2003, the Friends of the Canadian Museum for Human Rights launched an international competition to select a design. New Mexican architect Antoine Predock won with a concept that emphasizes the natural features of four of the nation’s geographic regions: jutting blocks of brown stone represent the Rocky Mountains, several stories of curving glass windows clouds and the prairie skies, massive wedges on either side of the entrance the nation’s roots, and the gleaming glass tower the Northern Lights. Even the ground on which the Museum is built carries symbolic weight. Because of its historically significant location at the Forks, a meeting place for indigenous people where the Assiniboine and Red rivers meet, the Museum consulted indigenous elders on how to show respect for the site. Medicine bags were deposited in holes beneath the building on the elders’ request. 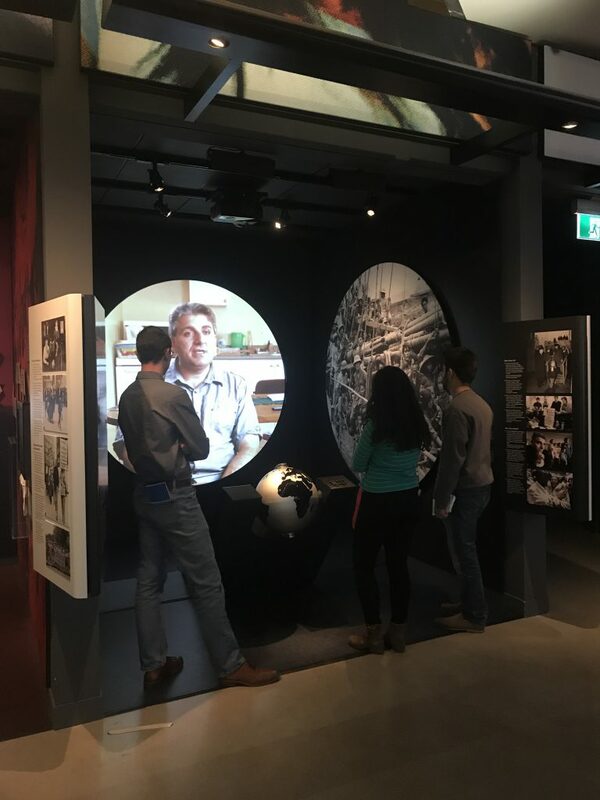 The Museum is also proud of its accessibility features: all of the exhibits are organized along a long, gradual ramp, subtitles and sign language interpreters accompany every video, and the low railings that allow a good view from the low seat of a wheelchair. The Museum has also been accused of downplaying the genocide of indigenous people in Canada. There are exhibits on the residential school system and the 60’s scoop (in which indigenous children were taken from their families and adopted out into white ones), and the digital mass atrocities exhibit includes Canada’s treatment of aboriginals, but this cultural genocide has not been recognized by parliament, and therefore doesn’t have a place in the genocide exhibit alongside the Holocaust, Holodomor, Rwandan, Armenian, and Srebrenica genocides. The Museum counts the Aboriginal Peoples Television Network among its donors and has a national network of indigenous advisors. 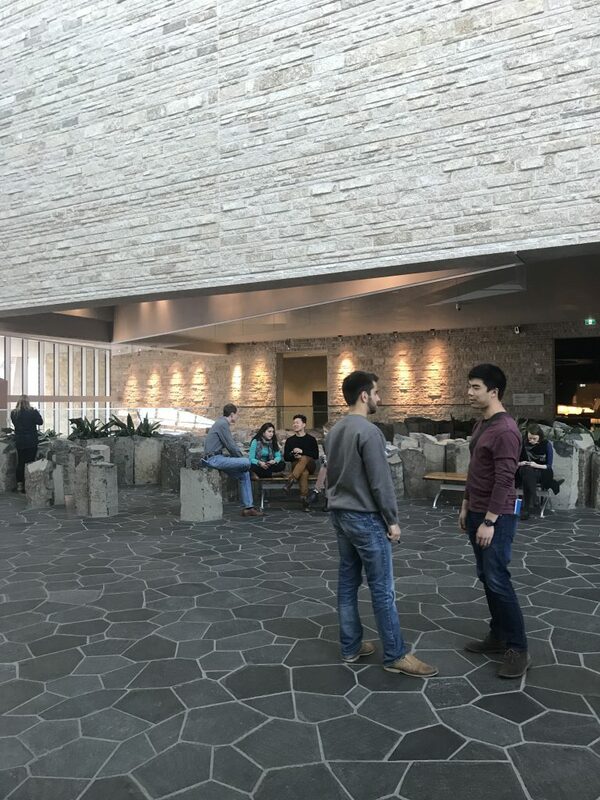 The Museum includes cultural spaces like a terrace for indigenous visitor to smudge (a purification ritual involving sweetgrass smoke) without setting off the fire alarms. The Canadian Museum for Human Rights is beautiful, and conceptually-fascinating, and fastidiously-curated, but it is not perfect. Human rights is a broad and challenging subject to represent in a thorough and accessible way that satisfies all (or even most) stakeholders. Hopefully the Museum will continue to seek out input and criticism to create informative and inclusive exhibits.